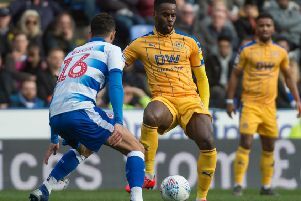 Loan star Christian Walton will have extra incentive to impress as he aims to extend his amazing clean sheet record for Wigan Athletic at Portsmouth on Easter Monday. The shut-out against Oldham on Good Friday was Wigan’s 23rd in 37 league games this term - a truly phenomenal statistic. And with backroom staff from his parent club Brighton making the relatively short trip along the coast to gauge his progress, Walton is desperate to extend that run further in front of the Sky cameras. “With Brighton not having a game, there will probably be a few members of staff from Brighton, like the goalkeeping coach, coming to watch me,” he revealed. “They send scouts to most games, to keep an eye on me, so they’re aware of how I’m doing. “That gives me an extra platform to impress, because obviously the reason I’m here is to improve and hopefully go back to Brighton a much better goalkeeper. “It’ll be nice to get back down on the south coast. The match sees Paul Cook returning to the club with whom he won last year’s League Two title. But Walton says that won’t be a factor in the Latics dressing room. “The players haven’t even spoken about that in the build-up,” he insisted. “Obviously we know what a tremendous job he did down there, but we’re only focused on this game. “We recovered on Saturday, flew down on Sunday, and we’ll be ready to go again on Monday. If Latics can pick up where they left off against Oldham on Good Friday, they’ll fancy themselves to cement their position at the top of the table. “It was a great win and that’s what we need to produce from now until the end of the season,” added Walton. “There’s nine games now to go and it’s a case of keep ticking off each one as we go. “The first goal took a while but there was never any sense of panic in the ranks - especially when we have the quality we have in the side. “Sometimes with the way we play it can take time to impose ourselves on the game. “But once the first goal arrived it settles you down and gives you the confidence to get a few more like we did. “The quality we’ve got throughout the team is second to none in this division, right from day one.